Mayor Gregor Robertson's long term vision to make Vancouver BC the greenest city in the world by 2020 has already started taking shape in so many ways. Some of the top issues to be addressed are well under way such as urban gardening and the right to own up to 4 chickens per household. Other components of the plan include more bike lanes and better rapid transit. On the latter note, a brilliant scheme is now before tomorrow nights' city council meeting and expected to pass with flying colors. 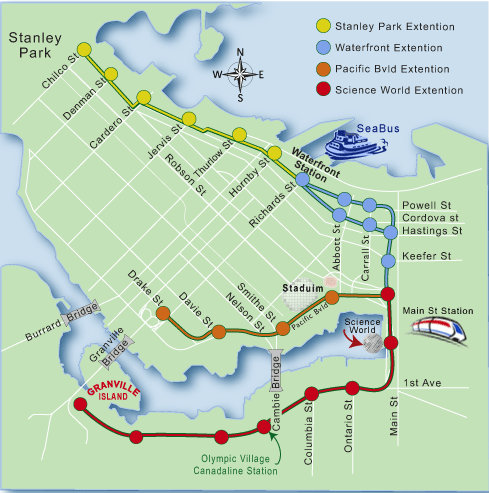 The idea is to increase the current Vancouver demonstration trolley system from Granville Island to Science world to new locations as shown on the map below. The new exciting twist has been a plan developed behind closed doors for months but has now been made public. The transit cars themselves will be none other than Steam engines from the days when steam power ruled. The reason behind this scheme is that renewable energy is one of the top priorities for the Green Plan and Wood powered Steam trains for passenger trolleys meet that criteria. The engines, two initially from the old baldwin factory (including the 2-6-2 show below), will be retrofitted to scrub any pollutant by products from the smokestacks as well as being equipped with modern spark arrestors and quieter running gear. Here is a photo from a recent test track section of one of the first routes to be run along Pacific Boulevard. This rute will be coupled with Science world. 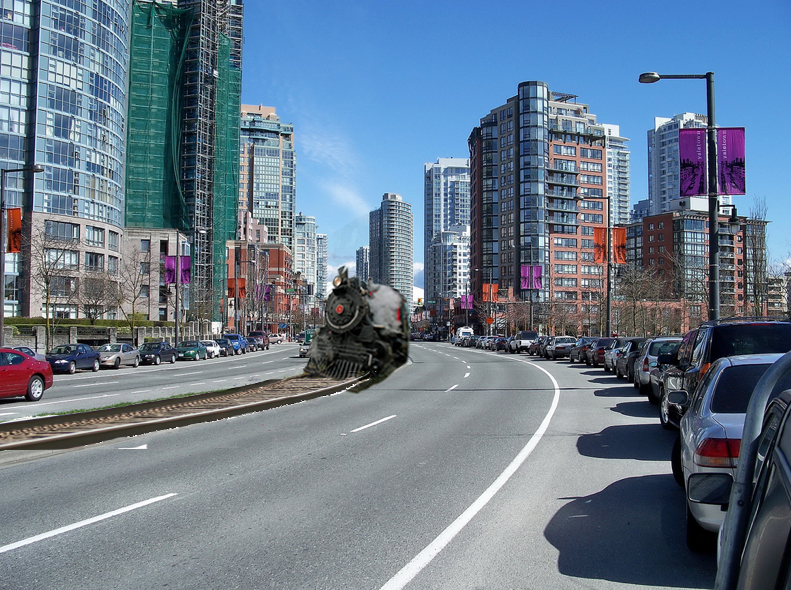 While electric trolleys were considered, city council feels that the steam approach, cupled with 1940's style coach cars, will enhance Vancouver's tourism capacity. According to Tourism BC, the immediate affect wil be to bring in over 250,000 new visitors each year who flock annually to various steam engine events. The offset of carbon but using green energy coupled with a unique look and feel for the city of Vancouver are a clear winner. Andrea Reimer had argued that the city should opt for a narrow guage railway (36") vs the standard 48" which the latter would allow interoperability with existing trains. No clear motivation was given for her reasoning. it is estimated that the steam train powered street car system, if eventually expanded to Marpole via the Arbutus corridor, could save over 2,6 metric tonnes of CO2 annually while adding over 300 new jobs and making Vancouver a unique city attracting an estimated $33,000,000 in new tourism revenue each year. 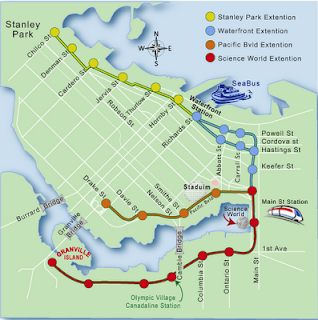 Contact City hall at http://talkvancouver.com/transportation-forum and express your support for this plan. Let's work together to make our city the best city in the world! Make sure you let them know you found out about this on Technoracle, the leading source of open data.